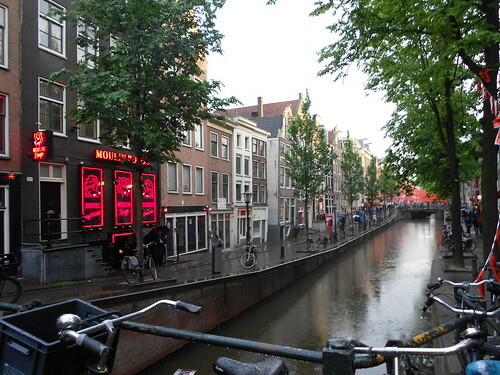 This cafe (i.e., a bar that does not sell pot) is on the edge of the Red Light District, in a great location sitting on a corner that faces a canal. I bit the bullet and ordered a Heineken on tap, which turned out to be much better than what we get in the bottle back home. Here we can see Meghan writing a postcard to Kate and Myke whilst sipping a cup of tea. 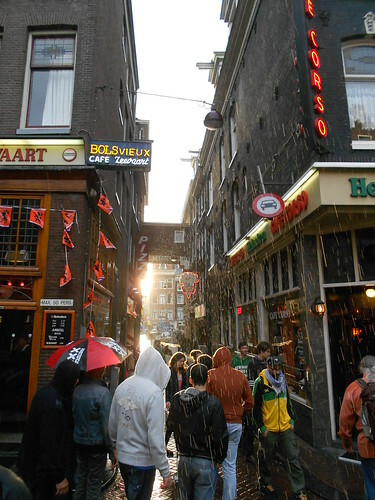 I really like Amsterdam. Meghan and I were first here about five years ago on a four-day decompression stopover on our way home from an extended stay in Africa. 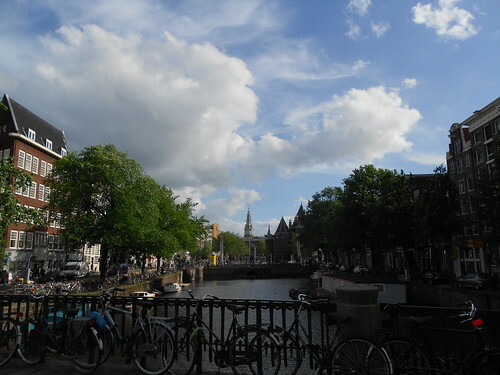 I love the bicycles, canals, and alleys.